With the unofficial start of summer already here, it's time to pull out some of my favorite grilling recipes, starting with this one for a yummy chicken marinade. 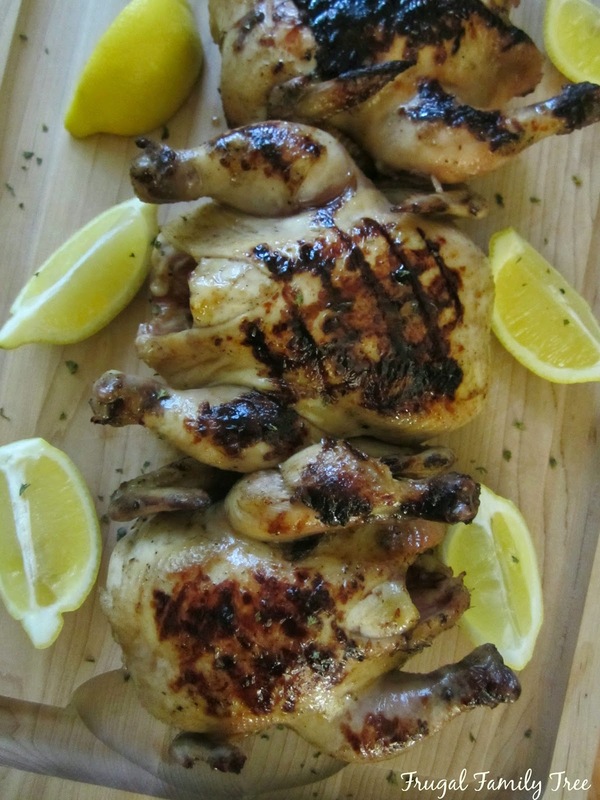 But instead of using it on chicken, I bought Tyson Cornish Hens to put on the grill, and serve a dinner that was a little more special than the usual burgers we make this time of the year. Sometimes I get in a cooking rut, and tend to cook the same things over and over again, so when I had a couple of friends over for dinner this weekend, I thought it would be fun to grill the hens, and make my favorite honey soy sauce marinade. 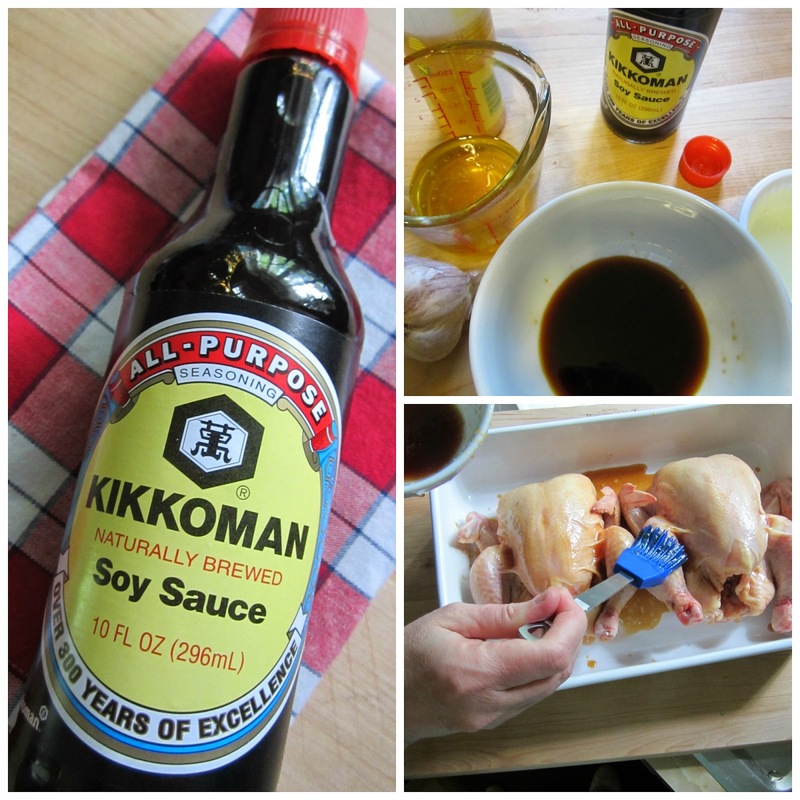 I always make it with Kikkoman Soy Sauce, a brand I have been using forever. The marinade gives poultry a sweet flavor that my family and I just love. The Tyson Cornish Hens come in a twin-pack at Walmart. I picked up four, thinking one each would be a generous portion size for each person. 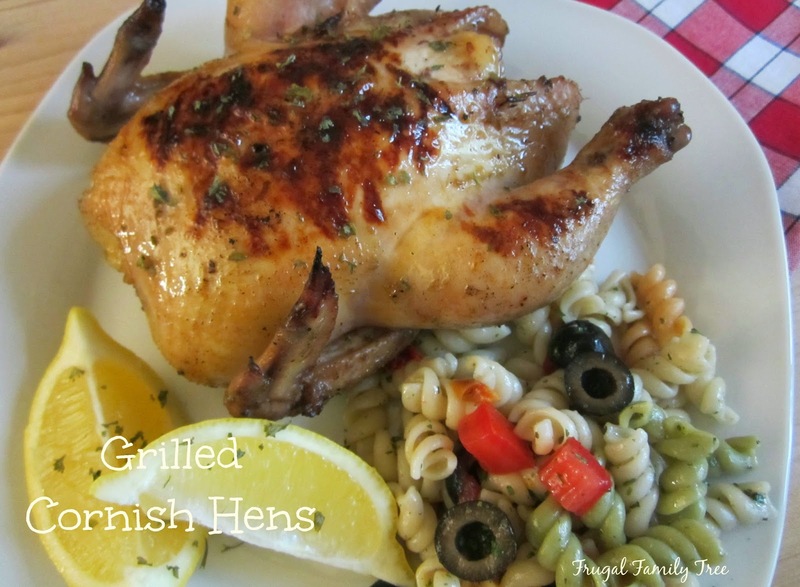 I have eaten Cornish Hens over the years, and always really enjoyed them. They seem a little fancy to me, and I've seen them served formally. But really, they are just as simple to cook and serve as other poultry, and putting them on the grill is easy. 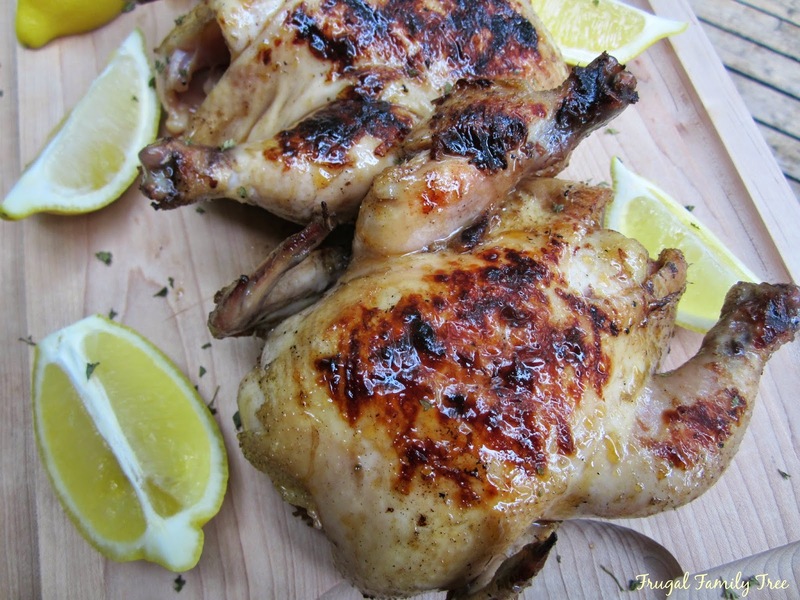 I always cut up lemons when I serve poultry made with this marinade. Squeezing some lemon juice over the top of the hens, gives it a bit of a lemony kick, and I think it compliments the honey flavoring. The recipe for this marinade is very simple. It includes the Kikkoman Soy Sauce, honey, oil, minced garlic, and salt and pepper. Make sure you baste the hens well with the marinade, and let them set for at least 3 hours in the refrigerator. I have actually let chicken sit overnight in the marinade, with delicious results! I think the key to grilling the hens is to let them cook slowly, to make sure they cook all the way through. I hadn't actually grilled in awhile, because my sons or son-in-law does it. But I was totally up for it, and wanted to be able to cook dinner for my friends by myself. You can find the Cornish Hens in the twin-packs in the open freezer section at Walmart. I always like looking inside these freezers because you never know what you might find! You can find Kikkoman Soy Sauce at Walmart too, and it comes in various convenient sizes. There is also the Kikkoman Teriyaki Sauce available, that I use to make delicious Teriyaki dishes. Starting Jun 1st, look for a coupon on Kikkoman sauces that lets you save $2.00 when you buy a 10oz. bottle, and a Tyson Cornish Game Hens twin-pack. This combo will really let you #Grill4Flavor, and create a delicious meal. In a bowl, whisk together the soy sauce, honey, oil, garlic, and salt and pepper. Reserve half of marinade in another bowl, to brush on hens while they are grilling. With a brush, baste hens generously with marinade, let sit in the refrigerator at least 3 hours. When the charcoals are medium-hot, place the hens on the grill. Cook slowly until they are done, turning about every 10 minutes. Place lid on grill to cook, but check to make sure they don't burn. Baste well with reserved marinade in last 5 minutes of cooking. Take off the grill when done, and cover with foil for 10 minutes so juices can settle. Squeeze lemon on hens if desired. For great cooking ideas, be sure to follow Tyson Foods on Facebook and Pinterest. You can also follow Kikkoman on Facebook and Twitter. They look delicious. I love honey and lemon together and I'm sure adding Kikkoman added that special something to the marinade.